Do you have a difficult decision to make? Do you need to know what the future holds? Then why not consult the ‘Crystal Ball’? This fascinating 32 sided crystal ball from the 1930’s claims to tell the future by answering your questions. 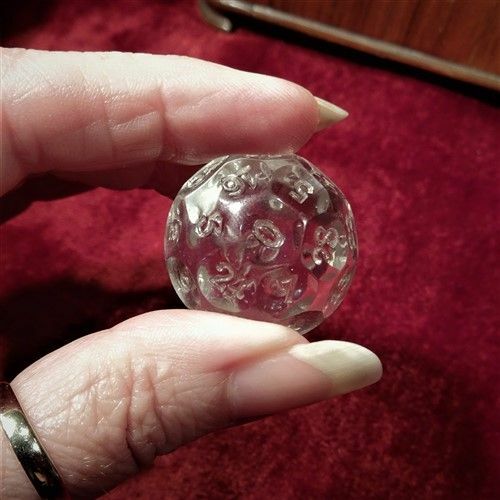 The crystal ball has 32 sides, 1-30 and also 0 and 00. 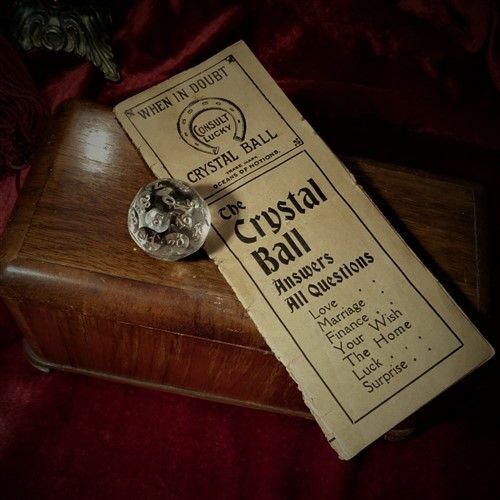 You can ask questions in three ways; getting a very precise answer to your questions from the detailed instructions or for a simpler option you may consult the crystal ball with a view to getting Yes/No or Good/Bad depending on the type of question you ask. ‘Accept the next business offer: it will prove lucky’. I shall certainly keep that in mind! 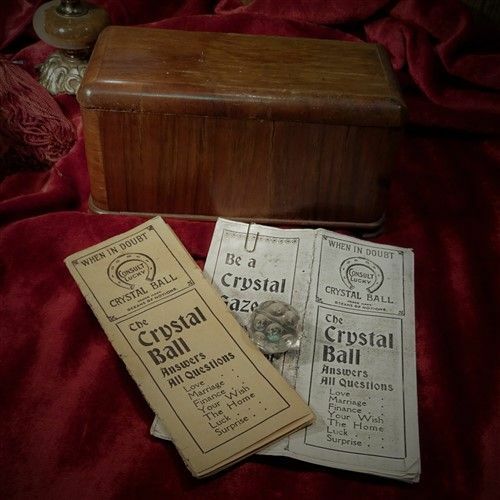 Although the instructions state: ‘Be a crystal gazer and give amusement to your friends’, I understand that the crystal is based in spirituality rather than luck. 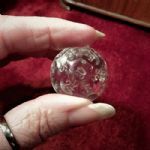 In a similar way to using tarot cards or a Ouija board, you are asking souls from ‘the other side’ to answer your questions and they are giving their answer through the crystal ball. 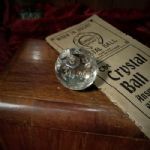 The crystal ball itself is made from Czech crystal glass and comes with its original instructions and another set of copied instructions. The crystal, which measures approx. 3cm in diameter and weights approx. 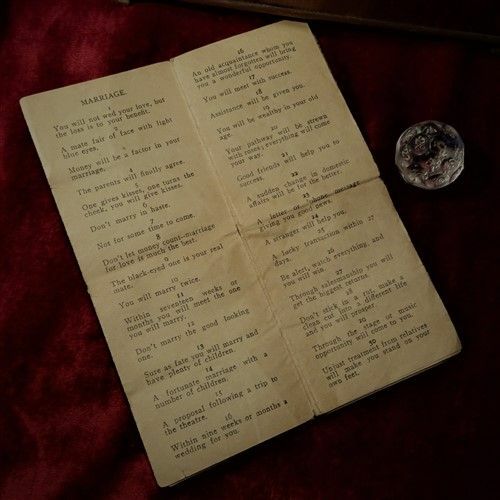 25 grams, is in excellent condition but the original instructions are torn are very fragile and worn, hence the need for another copy. I have put my own spin on this item. Since it came to me without a box, I have put the crystal together with the original instructions in a perfectly sized wooden box, which also comes from around the 1930’s and which I thought gives a sense of mystery and magic. If you’re planning a get together and would like an unusual party game, this would be perfect.